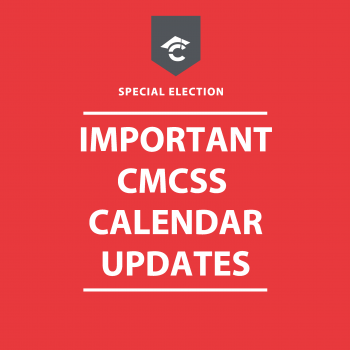 Due to special elections announced last week by the Montgomery County Election Commission, two dates in the 2019 CMCSS spring semester calendar will be changed to teacher professional development days with no students reporting. It has been the practice of CMCSS, as advised by the Department of Homeland Security, to not have students present in polling precincts on election days for safety reasons. Seventeen CMCSS schools are designated polling precincts. Gov. Bill Haslam set the two election dates for Dr. Mark Green’s unexpired term in the State Senate, with a primary election on March 7 and the general election on April 23. In response to the newly set election days, the early release day that was scheduled on March 1 will become a regular, full day for students. March 7 will become a staff development day with no students reporting. April 23 will become a staff development day, again with no students reporting. CMCSS will use one of its five stockpile days, not associated with its Inclement Weather Plan, for April 23.